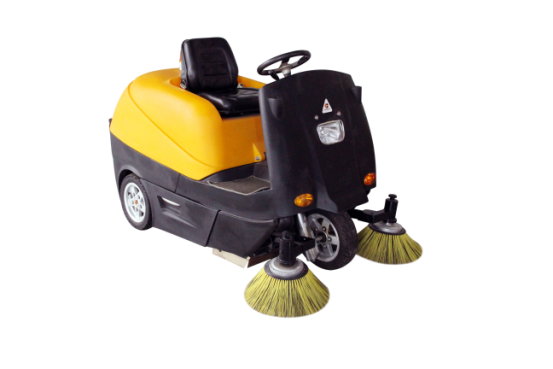 Product categories of Ride On Sweeper, we are specialized manufacturers from China, Ride On Sweeper, Ride On Industrial Street Sweeper suppliers/factory, wholesale high-quality products of Ride On Style Factory Sweeper R & D and manufacturing, we have the perfect after-sales service and technical support. Look forward to your cooperation! 1.The automatic navigation system,when you step on electric drive pedal for 8 seconds running,the machine will performthe function of cruising at a fixed speed. 2.Electrical back axle,with proprietary technology,is equipped with vehicle differential system and enhances stability and maneuverability during driving. 3.Air pump can lift the machine for 8cm in order to sweeping big size garbage and protecting brush when stop work. 4.Chain transmission system improves flexibility,narrows and turning angle and is easily operated when turning around.